Back in October, with the release of iOS 12, many owners of Apple HomeKit compatible smart locks such as the Schlage Sense, August, Weiser Premis or Friday started seeing the error message “No Response”, when trying to connect to these locks. The issue appears to be related to tvOS 12, as Apple TV users are noting they cannot connect to their smart locks when out of the home, but only within Bluetooth range. While Schlage has been informing users they are working on a solution, users on the latest Sense firmware and latest iOS 12.1 beta still are suffering from the dreaded ‘No Response’ issue. We can confirm deleting a Schlage Sense, then re-adding the lock (with latest firmware) does not fix the issue. The problem is approaching nearly two months and affects any homeowner trying to monitor their smart locks when they are away from home, or out of town. There’s just no way to remotely lock or unlock a front door now because of this bug. We’ve reached out to Schlage for an update on this error, and will report back shortly when we hear back. 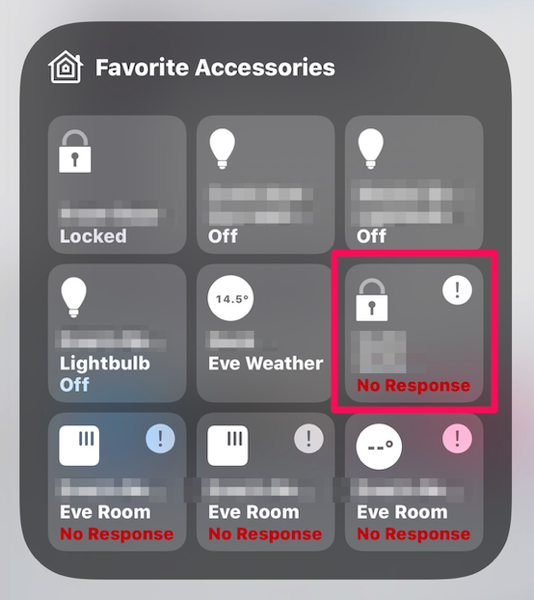 Are you still dealing with a HomeKit smart locking showing “no response” in iOS 12?